User and browser friendly. All changes are done live and without refreshing your page! Click on a cell to edit its contents. Click outside the table to save changes. Make the entire row editable or just a single cell. 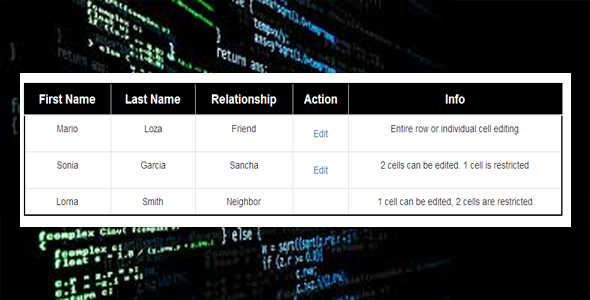 Restrict which cells your users can edit and which they can’t. Script will alert the user when a change to his table has been done. All editable rows have a hover effect on them.